We all have that one chair that we like to sit in. For some people that chair just so happens to be a throne, and we’re about to share some thrones from our favorite movies. Let’s start this one off with a bang. 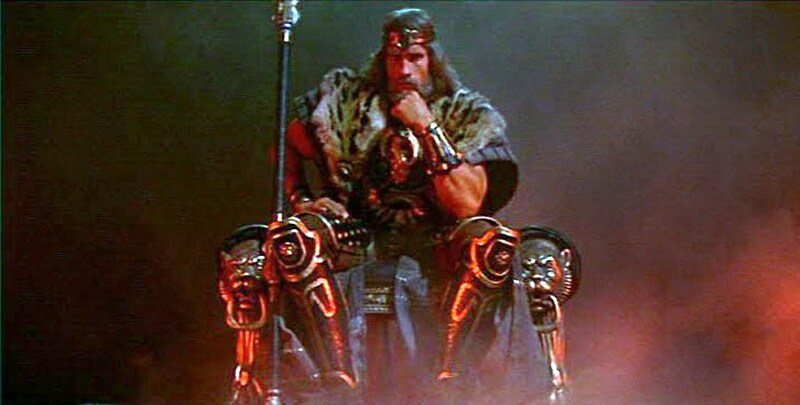 Conan, of the Cimmerian barbarians, certainly knows how to fill a throne.